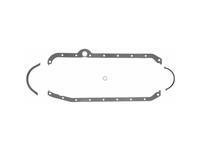 This Fel-Pro part Number 1802 Oil Pan Gasket Set fits 1957-1974 Small Block Chevys. 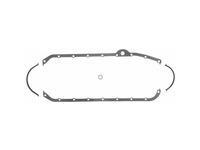 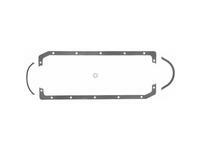 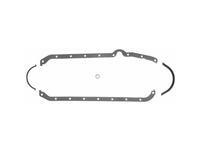 This Fel-Pro part Number 1818 Oil Pan Gasket Set fits 1980-1985 Small Block Chevys. 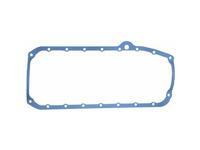 This Fel-Pro part Number 1821 Oil Pan Gasket Set fits CNC bow tie block with 2 piece seal adapter, Donovan block, and Rodeck block. 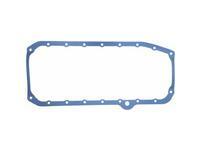 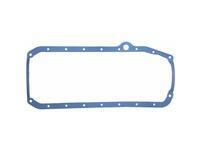 This Fel-Pro part Number 1823 Oil Pan Gasket Set fits CNC Bow Tie blocks. 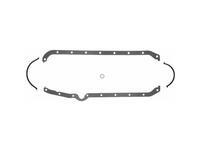 This Fel-Pro part Number 1880 Oil Pan Gasket Set fits 1975-1979 Small Block Chevys. 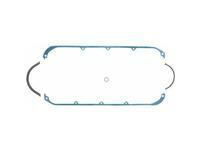 This Fel-Pro part Number 1881 Oil Pan Gasket Set fits 1980-1985 Small Block Chevys. 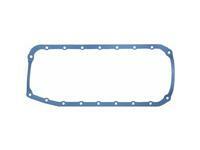 This Fel-Pro part Number 1885 Oil Pan Gasket Set fits 1957-1974 Small Block Chevys. 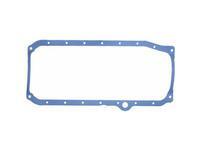 This Fel-Pro part Number 1886 Oil Pan Gasket Set fits 1986-1997 Small Block Chevy with 1-piece rear main bearing seal, GM Bow Tie short deck block, and Non-CNC Bow tie block with 2-piece seal adapter.